From Mediaite: Today, The View welcomed a very prominent guest, Ann Romney, also joined by one of her sons, Josh Romney. What transpired as the Hopeful First Lady Ann Romney sat down with the feisty ladies of The View? Reports Mediaite, “[T]he ladies chatted both about her and her husband’s political views and campaigning, withWhoopi Goldberg in particular zoning in on the reasons behind Romneys’ sons’ lack of military service. Goldberg turned to military service, seeking to clarify whether the Romneys’ Mormon faith ‘doesn’t allow you to go fight.’ ‘No, that’s not correct,’ Ann Romney replied. ‘We have many, many members of our faith that are serving in the armed services.’ ‘Okay, well I say that because what I read about your husband, what I read — and maybe you can correct this — is that the reason that he didn’t serve in Vietnam was because it was against the religion,’ Goldberg said.” Read Ann Romney’s reply here. From Gossip Cop: Is there parenting trouble at the Jersey Shore? Writes Gossip Cop, “‘Snooki Storms Out!’ blares a headline from Star, which reports that the ‘Jersey Shore’ alum has been ‘ditching fiancé Jionni LaValle and her baby so she can party like she’s back in Seaside Heights.’According to a so-called ‘insider’ for the mag, ‘Snooki is constantly whining about how much she wants her prebaby life. The only thing she’s wanted to do is drink with friends.’ …Of course, the tabloid fails to mention the date or location of any of these supposed instances where Snooki abandoned her family to party.And the mag strategically leaves out the fact that the new mom skipped the ‘Jersey Shore’ final season premiere party earlier this month so she could stay at home with baby Lorenzo. Still, Gossip Cop checked in with a source close to both Snooki and LaValle, who tells us the tabloid’s story is completely ‘not true. '” Read more about the tabloid here. From Geekosystem: After 80 years of print publications, Newsweek will finally transition to digital-only publication after this year. Reports Geekosystem, “The news comes courtesy of an announcement made by CEO Baba Shetty and Editor-in-Chief Tina Brown on Newsweek’s sister site The Daily Beast. The new all-digital version will be called Newsweek Global and, just like it sounds, will focus its journalistic abilities on worldwide news. Like many other digital offerings, Newsweek will be available via a paid subscription, but they’ll still have bits and pieces appear on The Daily Beast from time to time. Shetty and Brown are quick to note that Newsweek isn’t going away; it’s just transitioning. Their typical endeavors in journalism will remain mostly unchanged. It’s not that the magazine’s outlook is shifting so much as it is that magazine’s economic model and distribution are changing. 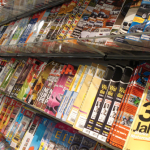 The reality is that print journalism is not all that financially feasible for the majority of magazines.” Read more here. From Styleite: Another day, another fashion lawsuit. 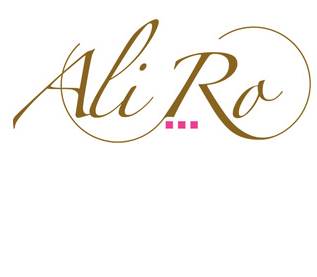 Styleite reports, “Do you find the names Ali Ro and A+RO for two totally unrelated fashion labels a little too close for comfort? Donna Morgan LLC certainly does. 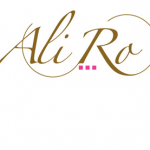 As the owners of Ali Ro, a contemporary line founded in 2007, the company is now suing a whole slew of retailers and manufacturers involved with selling products under the label A+RO, which, according to WWD they deem so close to their own as to create confusion with the customer. According to the Ali Ro website, founder Kathleen McFeeters, dubbed her label after the acronym of her daughter and mother’s names. The trademark was registered in 2008.” Read more, including how other retailers like Gap Inc., Urban Outfitters Inc., and Revolve Clothing. Saks Inc. are involved, here. 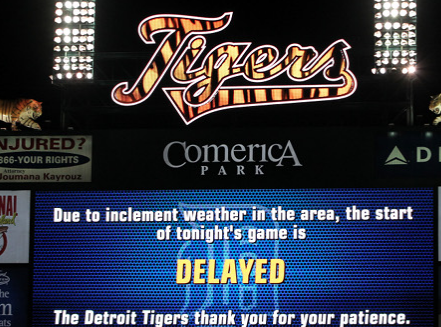 From SportsGrid: In the world of sports last night, baseball was the only one happening, and barely happening at that, thanks to rain. 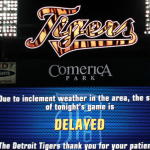 Both the ALCS and NLCS games were plagued by rain delays, with the ALCS Detroit Tigers/New York Yankees game being postponed until today entirely. The NLCS game was able to be completed though, and here’s what happened, reports Sportsgrid: “The game was delayed with the Cardinals leading 3-1 in the bottom of the seventh, and it stayed that way for 3 1/2 hours. The delay wound up being longer than the game itself, but for the Cardinals, it was worth it – they walked away with a 3-1 win, and 2-1 lead in the series. A big hurdle for the Cards, though: Carlos Beltran had to leave the game with a strained knee and is now day-to-day.” Read the story here. From The Mary Sue: Twi-hards, listen up. Your wishes for more Twilight might be coming true. Writes The Mary Sue, “We just assumed a Twilight reboot was inevitable. Most likely starting production the minuteThe Twilight Saga: Breaking Dawn Part 2 hit theaters. But did any of us think they’d create a television spin-off to continue the franchise? Well, that might be exactly what happens. It was back in June we heard rumblings of a possible reboot of the franchise. At that time, Lionsgate Co-Chairman Rob Friedman denied the rumors saying, ‘We are not remaking Twilight. We will happily support Stephanie Meyer if she decides to proceed in any way. But this will be the last one unless that should change.’ So what’s changed? Moviehole.net says they heard some new information.” Find out what that is here. 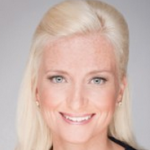 From The Jane Dough: Recently, Facebook global marketing Vice President Carolyn Everson spoke at American Express’s two-day Women’s Conference, where she discussed the importance of risk-taking and fostering relationships in the workplace. The Jane Dough recaps with her: Of her takeaways from the conference, Everson says, “I think there were three key messages. One was to be willing to take risks and make goals for your career…Secondly is to identify sponsors, more importantly to have sponsors identify you, and you have to earn that respect internally from your peers and your bosses but when someone is looking out for you and sponsoring you it could make a big difference in your career. It’s different than mentorship. It involves the relationship, it involves hard work. The third part is to be comfortable with failure. 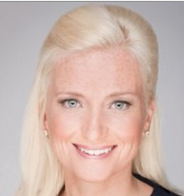 You do need to have failure to learn lessons.” Read more of her thoughts here. 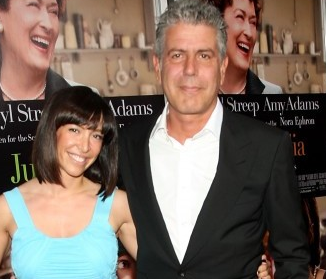 From The Braiser: Ever wondered how Anthony Bourdain and his wife met and fell in love? 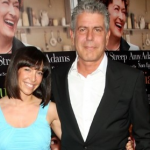 The Braiser’s got the story: “If you’ve ever seen Anthony and Ottavia Bourdain together, you know that the two are deeply in wuv. The twuest of wuv. He travels around the world and swears for a living, all while eating food and shooting things. She, according to the Big Gay Ice Cream Truck’s Doug Quint, is an MMA-loving spaz who likes to punch things. They both eat massive quantities of animals for funsies. Of course this couple is made for each other. In her first interview with the New York Times, though, Ottavia describes exactly how ‘made for each other’ the couple really is: after Eric Ripert introduced the two (she was the general manager for a restaurant he was consulting at the time), they went on a few dates. ‘Their first date was to a cigar bar; their second was to Masa,’ the Times dutifully chronicled. ‘A few dates later, they had matching tattoos (of a chef’s knife) put on their shoulders. And after a few more dates, they married. '” Read more here.